Music can become the medicine for all of the human problem in this game. Of course, you ever feel the sensation that cures your problem immediately. Although it’s not cured but, calm you a little bit. Yeah, music has that power. But, that’s not my topic today. Not only that, music game become quite famous in the gaming world. Now, my today topic is the best rhythm game that you should play on Android and iOS. 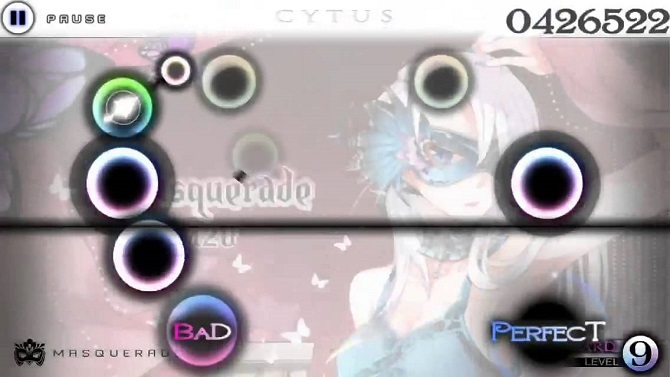 If so, just see the list below…..
Cytus: First on the list is Cytus. Without a doubt, this is the best one that you ever see on the mobile phone. 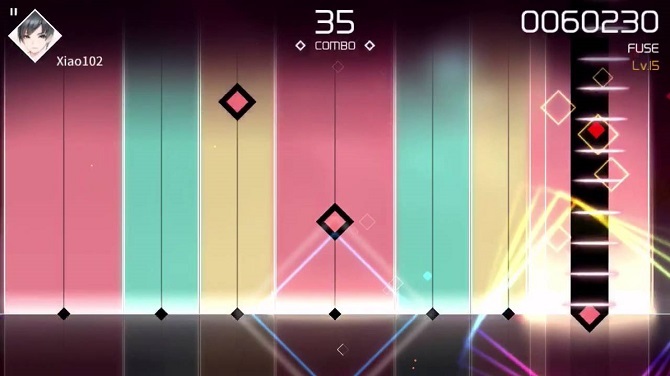 What makes rhythm game are the music and the gameplay. Cytus have both aspects that what make this game become really great. This game has 200 soundtrack that you can play and nine difficulties. If you usually play DDR game, you can play this game without any problem. Oh yeah, you can’t play all the song except you buy it with real money. So, you need to be prepared to give an extra cash for this game. 02Jam: All of you must familiar with this title. Yeah, this game ever released on console. I used to play this one on my PS 2. It’s quite entertaining, the playstyle same like guitar hero game. The music line-up also can make your head move without you notice it. Voez: If it’s a music game, Rayark is the developer that you need to anticipate. This is the latest installment from the developer. The gameplay’s not really different. What changed is only the interface. Oh yeah, you can also follow the story line of this game. It’s quite new because rhythm game has a story line in it. Same like always, you need to buy the in-app-purchase when you want to play another song. I think it’s worth a shot to try all the song. Rayark never disappoints their customer guys. 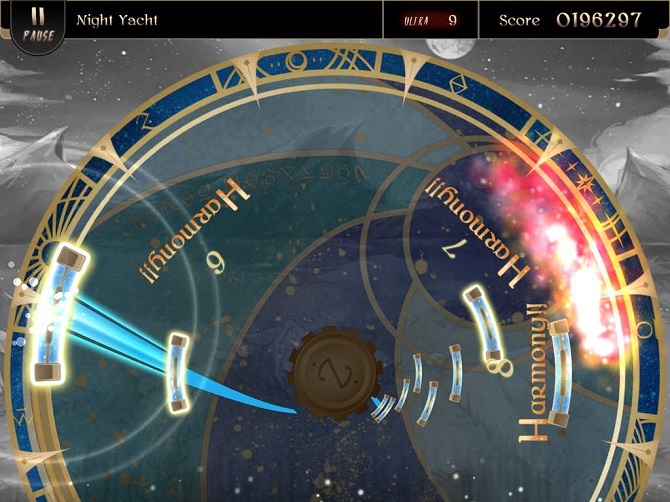 Lanota: A unique rhythm game that you should on your device. Because it combines RPG elements in it. In short, you will travel in a huge map and each point you should challenge the opponents (If it’s an RPG game, you will fight a monster). Like Rayark’s game, this one also has a story elements in it. So, you need to be prepared to cry while playing the music. You can find this unique game in your Play Store and App Store. Of course, for the installation process is free, but if you want to buy the in-game song, you need to offer your real money. 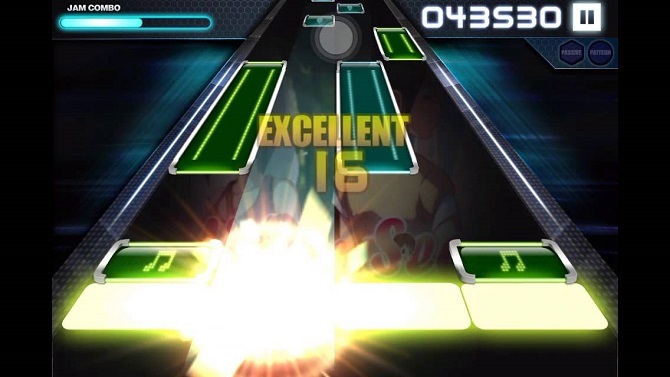 That’s the best rhythm game that you should play…..
What do you think about it? Is it good? Which one are you going to choose? Okay, guys, I think it’s enough for today article. If your favorite music game isn’t included on the list below, please forgive me. I only tell you my own favorites that you should try in your free time. See you all again next time and turn on your music guys!